Welcome to Binocular Stop, your place to get thorough reviews and recommendations for your next pair of binoculars. We spent countless hours of research to determine the best binoculars and separated them into popular categories. The main categories are for best compact binoculars, birding binoculars, hunting binoculars, astronomy binoculars, and kid’s binoculars. This free online site was made to give you, the consumer, the best possible advice on purchasing the best binoculars. Binocular Stop does not favor one particular brand; rather, we offer reviews based on best fit for your viewing needs. It’s time to upgrade from “hand me down” binoculars to a high-quality pair of the best binoculars on the market. If you are looking for great binoculars with all-around capability, then the Steiner Predators are your best choice. We have found them to function with speed and ease. The Predator binoculars are waterproof and fog resistant making them an ideal companion for adventurers, birders, astronomy enthusiasts, and hunters. When we tested these, we found the glass used in these binoculars to be incredibly clear, producing crisp images even at dusk. This capability coupled with the multi-coated lenses make them great to spot game in any environment. The excellent low-light performance and the N2 Injection System seals 14-psi pressurized dry nitrogen into the optic, for fog proof clarity in any condition. We love their durability, the semi-compact design, and the lightweight roof prism design. Steiner boasts unmatched durability and reliability combining a durable polycarbonate frame with NBR Long Life rubber armoring, creating a light, tough, chassis that withstands up to 40’s of impact. 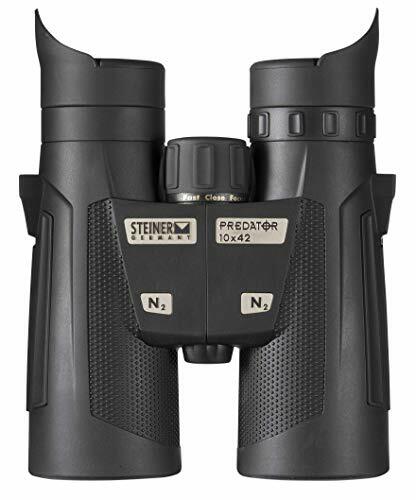 Steiner Heritage Warranty covers the Predator binoculars for the lifetime of the product. While not kids binoculars, the warranty, and durability make them safe for your kids to handle. I even let my six-year-old use them when we hiked Shenandoah National Park. The fast-close-focus feature gives bird watching enthusiasts quick focus capability while birding. Both the 10×42 and 8×42 models have incredibly positive reviews and after using them in several environments; we have found these to be the best overall binoculars. When you are deciding on what pair to buy, primary usage ought to be your determining factor when choosing between magnifications. The larger lenses in the 10×42 collect more light than the 8×42 making them better for stargazing and as astronomy binoculars. This really tipped the scales for us in choosing the Steiner Predator 10×42 as best binoculars overall. Vortex Optics has designed their Diamondback binocular line with price and performance in mind. Our goal at Binocular Stop is to give you the best review, so you end up walking away with binoculars that meet your needs without costing you a fortune. When it comes to hunting binoculars, the Diamondbacks are comfortable in hand, priced well, and have a wide field of view making them our top choice as best binoculars for hunting. When we took these hunting, we found them to be quick at centering your target in the viewing field. They are great for spotting game and discerning its characteristics.When we were out in the wetlands, having fully packed gear; the reduced size and weight of these binos were a great benefit. These are the best hunting binoculars for the money. You’ll find binoculars that cost double the money for an inferior product and our purpose is to make sure you end up spending your money on a great pair of binoculars that’ll be great in the field. For a full review of the Vortex Optics Diamondback Binoculars and other great hunting binoculars, please read our hunting binoculars review page. If you’re looking for compact binoculars, then these Wingspan Optics Spectator Binoculars will be the best overall compact binoculars you can find. We were pleasantly surprised to find a pair of compact binoculars at such a great price! When we took them out bird watching, we found them to have a wide field of view with the capability to quickly focus in with incredible detail. We even took them to a Washington Capitals game and these compact binoculars did not disappoint. They were easy to stow away and allowed us to focus in on the action, despite our nose-bleed seats.You’ll be hard-pressed to find a pair of compact binoculars that are this affordable, lightweight, waterproof, and durable. For compact binoculars, they offer crisp, bright optics and great contrast. If you have specific needs in compact binoculars or want an in-depth review that won’t put you to sleep, then please read our compact binoculars review on this model and other various compact binoculars. 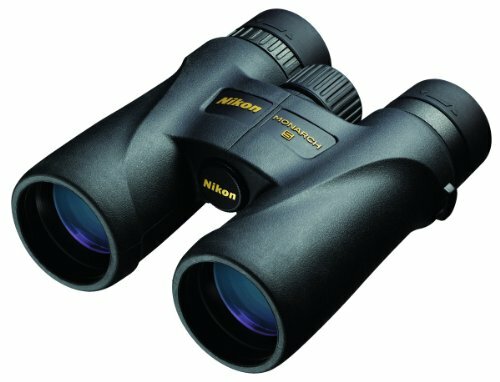 The entire Monarch line of binoculars are built with Nikon’s premium Extra-Low Dispersion (ED) Glass. The Ed Glass give these a sharp, clear, and vivid field of View. Compared to other 8×42’s, these are very lightweight and are the best birding binoculars overall. I love the color and how clear birds appear through these birding binoculars. If you are willing to spend much more money; you can find a better pair of birding binoculars.The price for these binoculars, their quick focus, and when scanning for birds; the clear and wide field of view have benefited me greatly for spotting! When it comes to birding binoculars, these are truly the best value available. To match the quality of the Nikon Monarch, expect to spend a thousand dollars or more. The multicoated ED lenses coupled with the nitrogen purged barrels set these apart as best birding binoculars. 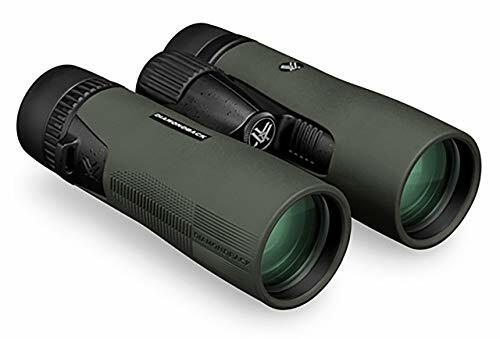 If you have specific needs for bird watching, then please read our full review of these and other birding binoculars on the Birding Binoculars page. The Celestron SkyMaster 15×70 mm Porro Binoculars are a great choice for stargazing and astronomy. We found their large objective lens to magnificently capture image brightness in low-light conditions. The portability factor and ease of use are what make these a great choice for those interested in astronomy. These can either be mounted on a tripod or can be handheld. 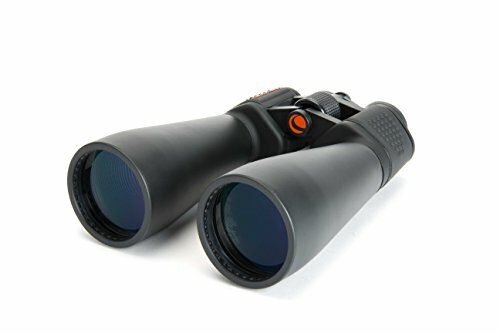 Keep in mind that if you plan on spending extended time with these in your hand; you will get fatigued.These binoculars are a great value, offering great optics, and come close to emulating entry-level telescopes. I recommend a tall tripod for extended star gazing and purchasing an upgraded tripod mount is worth the cost. The Celestron SkyMaster 15×70 Binoculars are our top choice based on what you get for the cost, their durability, sharp focus, and bright nighttime images. 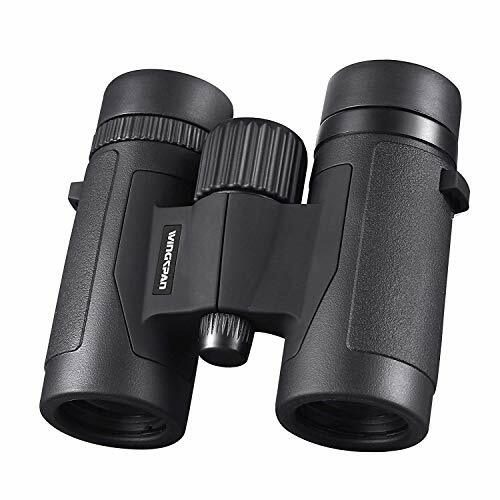 These are an excellent overall value for astronomy binoculars. If you are seeking a more powerful, lightweight, or more astronomy focused binocular, then please visit our astronomy binoculars review page. Kidwinz produced a great product for our children to have fun with. 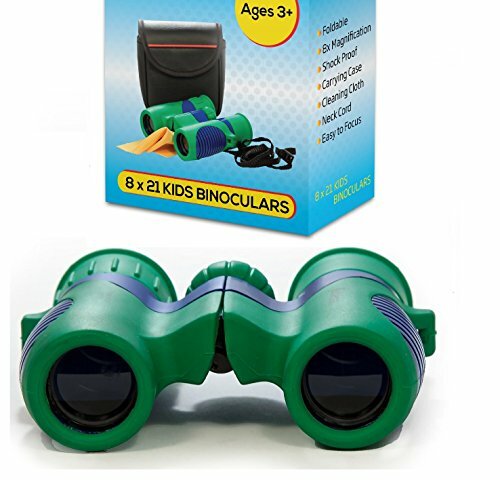 These kids binoculars have a 60-day money refund and replacement policy, they have been drop tested by the manufacturer, and they are the perfect size for small hands. For full disclosure, we felt that our staff weren’t qualified to test these binoculars. So, our kids tested them; willingly, happily, and thoroughly. The accessories are great and are covered by Kidwinz refund policy. These kids binoculars come with a case, a cleaning cloth, and neck strap. The eyepieces are surrounded by rubber and are great for protecting the eyes of our children.Unlike many kids binoculars, I have found these to feel sturdy; dissimilar to the plastic feeling that others have. If you have other needs in kids binoculars, want a full review, or want more options, then please visit our Kids Binoculars page for other options.